A Day on Earth – What time is it? Florian Hecker was born in 1975 in Augsburg. He currently lives and works in Kissing. 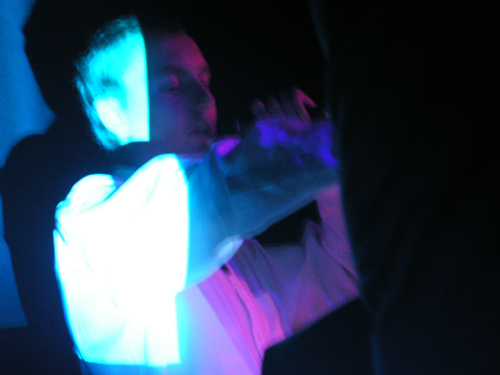 Hecker has been working with computer music, independently and in collaboration with other artists such as Russell Haswell, Carsten Höller, Florian Pumhösl, Peter Rehberg, Marcus Schmickler, Yasunao Tone since 1996. Hecker’s works emphasize the connection of most recent as well as historic developments in computer music, hard- and software. 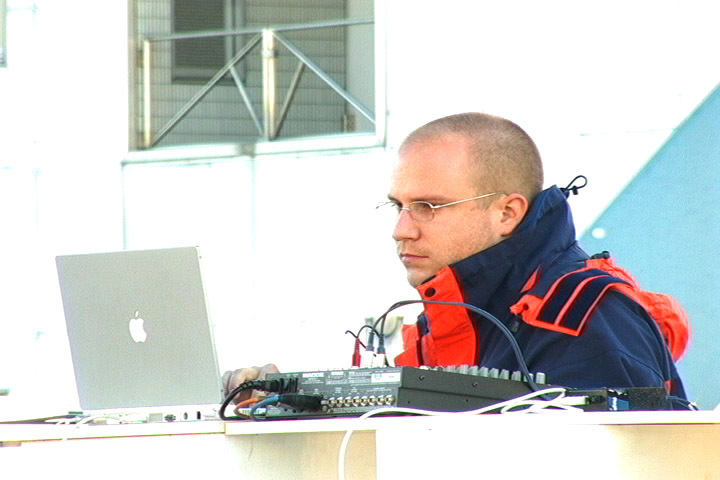 Often working closely together with software engineers and scientists, his recent productions incorporate psycho-acoustic effects disorientating the listener’s spatial perception in live presentations and studio works. His full length solo recording, Sun Pandämonium, received the Award of Distinction at the Prix Ars Electronica 2003. Blutleuchte and Cloama are two Finnish independent artists specialized in crafting surreal industrial and psychoacoustic noise soundscapes. Cloama has been in existence since 1997 and made seven live performances, five in Finland and two in UK. His discography includes music in LP, CD, cassette and CDR formats and many of these received good reviews in worldwide industrial scene. The style from one release to the next stays never the same. Next Cloama releases will present a fresh angle to the old power electronics and ambient styles. Conceptually Cloama is a dark and provocative vision of human life with the paradoxes of the mind brought out to the front. He also co-operates the neuroscan.org label which hosts, among others, Strom.ec. 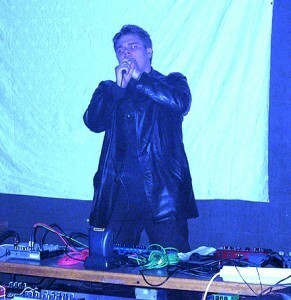 Blutleuchte was formed in 2000 and the debut CD “Rus” was released on Sähkö Recordings and was an experimental work combining the sounds of Russian political speeches, harsh electronics and slavic ritualistic neo-folk as a journey into the heart of Russia, both as a cultural entity and as a historical phenomenon. “Die Blutleuchte employs Russian folk music, ambient sounds of water, ice, and fire, assorted Russian vocals either ordering or proselytizing, some drum, guitar, and organ sounds, and a hell of a lot of industrial noise.” Since then, Blutleuchte has been working on material for compilations and is also preparing a new full-length release of pure industrial war with less emphasis on neo-folk and more noises created both digitally and acoustically. The style has been compared to movie soundtracks, Boyd Rice and early Current 93. Cloama and Blutleuchte have worked before both live and in studio and are creating a new alchemy of their respective styles to present to the audience. Compositions from both will be performed but also collaborative material and some guests of Blutleuchte will play folk instruments to celebrate the union of the ancient with the postmodern.